Ian and Christine Elumba, William Ramirez and Justin and Brittany Brouhard. Kohola Brewery is a local, independent craft brewery located in the heart of Lahaina, Maui. We believe that good beer makes everything else better. Beer is one of those special things in life that brings people together. We pour our hearts and passion into a pint and share our craft to those who enjoy our extraordinary brews. 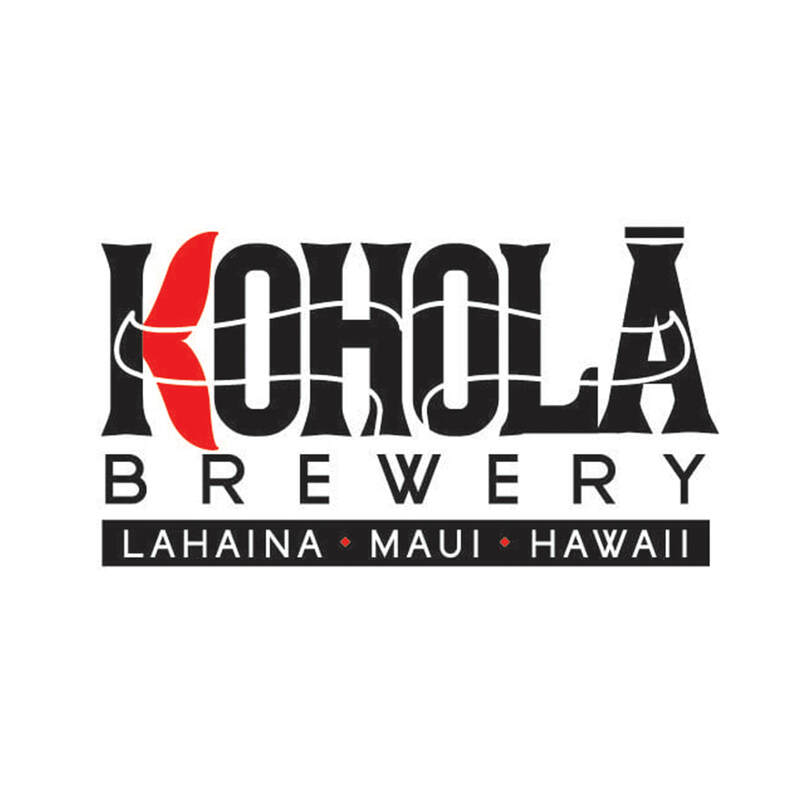 Kohola is known for producing approachable and balanced lagers and ales, most notably Lokahi Pilsner, Talk Story Pale Ale, Mean Bean Coffee Stout, Pineapple Blonde, the WaterMan IPA and Red Sand Amber Ale. Kohola was awarded the Bronze Medal at the 2016 Great American Beer Festival in the German Style Pilsner category. Our beers are available in 12oz cans and on draft statewide. We're Family Friendly. Minors ARE WELCOME, as long as they're with their parents or legal guardian. Lahaina Haze is medium bodied ,juicy brew with flavors of citrus and pine from additions of Simcoe and Cascade hops. The hop flavors & aroma are balanced by a hefty malt backbone created by additions of Oats and Wheat into the mash. Red Sand Ale is an American-style Red Ale that is medium bodied with bready, malty flavors and aromas. It has hop aromas of earth and spice from the late kettle Fuggle additions. This beer is named after the “pocket” Red Sand beach in Maui. As red ales are not common to the islands of Hawaii, this is truly a “pocket” style in paradise. Pineapple Blonde uses our base beer Lahaina Blonde which takes the name after our hometown of Lahaina, the capital of the former Hawaiian Kingdom. A blonde ale is an approachable, easy-drinking style, rounded, smooth, and simple. We dry hopped it with Cascade hops to give it a hint of floral, citrus, grapefruit flavor and aroma and infused it with Hawaiian Grown Pineapple to give it a hint of pineapple flavor. Super yummy on a hot Hawaiian day. A smooth, grainy, and slightly bready, hop forward Pale Ale. This flavor matches beautifully with the citrus, tangerine flavors and aromas of Chinook, Mosaic, Mandarina Bavaria and Citra hops. Locals in Hawaii love to chat — or what we say talk story. This is what this beer truly represents, good times with friends and Ohana.